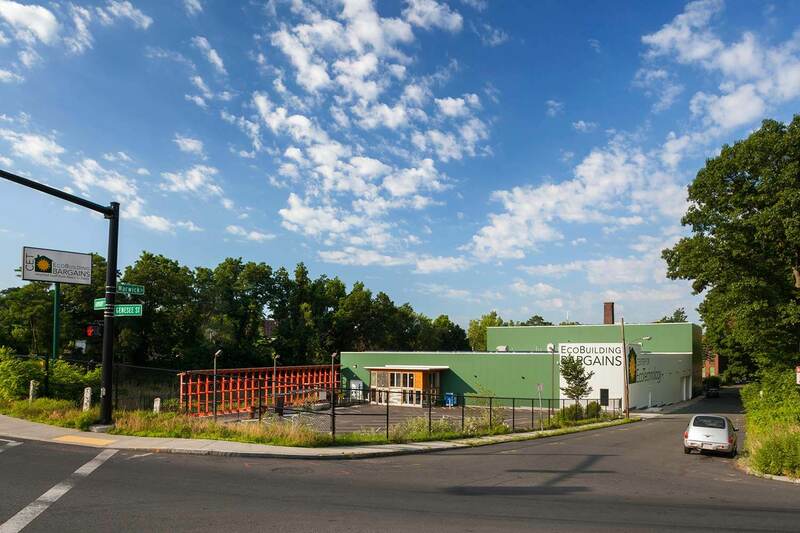 This $3.5 million retail project tackles head-on the issue of construction and demolition waste reuse. 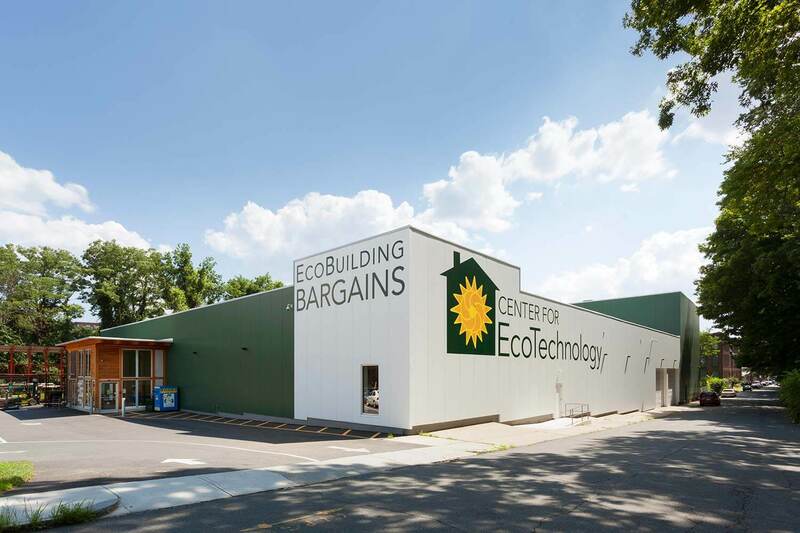 Built for a non-profit whose mission includes advancing public awareness and consumer practice around materials reuse, the project promotes repurposing at all scales of architectural intervention. The renovation of the former industrial warehouse relied on the exhaustive reuse of locally harvested materials and building components across every level of construction, from structural elements and roofing materials to interior fixtures and furnishings. Their new 32,000 square foot expanded facility is the largest facility of its kind in New England. 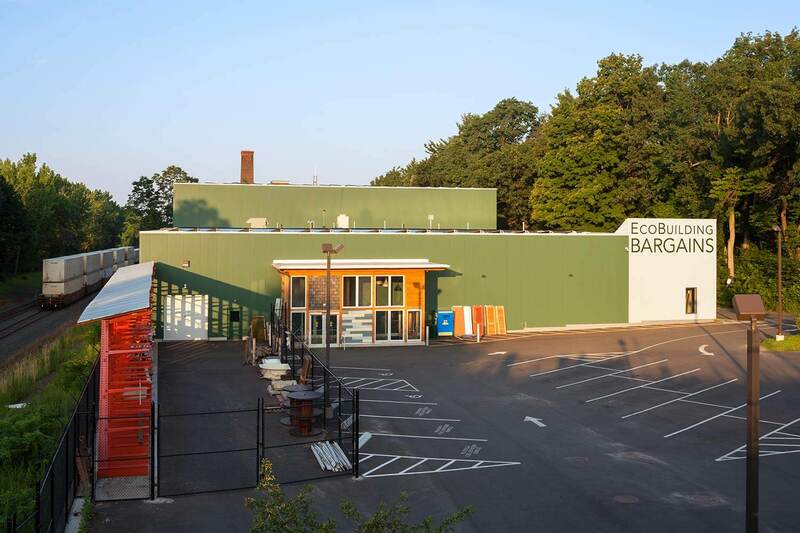 Grant-funding enabled the building to pursue a deep energy retrofit featuring insulated metal panels to wrap the brick warehouse. The exterior facade design employs these panels to convey the non-profit’s message to passersby. Like many other design decisions, super-sizing the logo on the facade knowingly participates in the “big box” aesthetic, even as the store seeks to divert customers away from these competitors. However, whereas these large design moves telegraph “big box” affordability and reliability, the entry vestibule serves as a didactic tool to encourage contractors and homeowners to think about design as a creative outgrowth of material properties. Set within a structure of recovered timbers, in-fill panels incorporate a variety of repurposed materials. 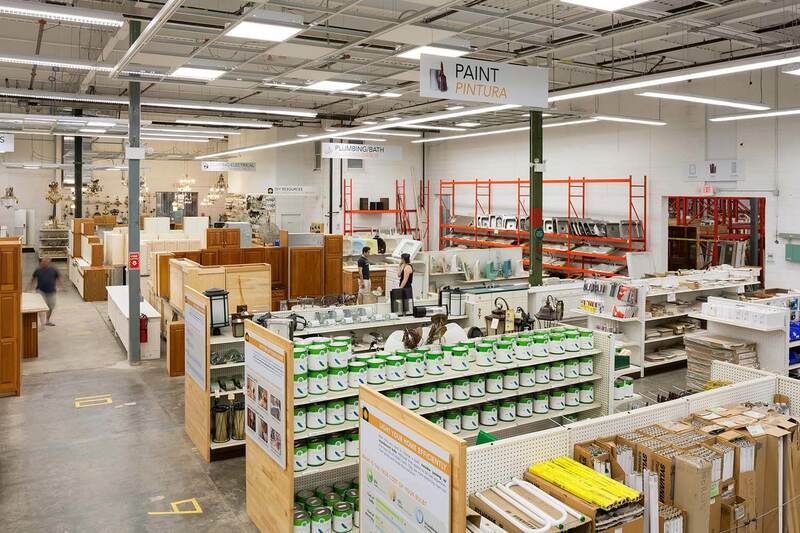 Many of the repurposed materials and components came off the shelves of the former store; others came from deconstructed local buildings or were harvested on site. Donations by area contractors, retailers, and municipalities further tie the community to the project. The project emphasizes public communication throughout the redesign, including a comprehensive interior signage program with accessible way-finding signs and interpretive displays. These interior features overcome barriers to reuse by highlighting sustainable and affordable practices that customers can implement at home. 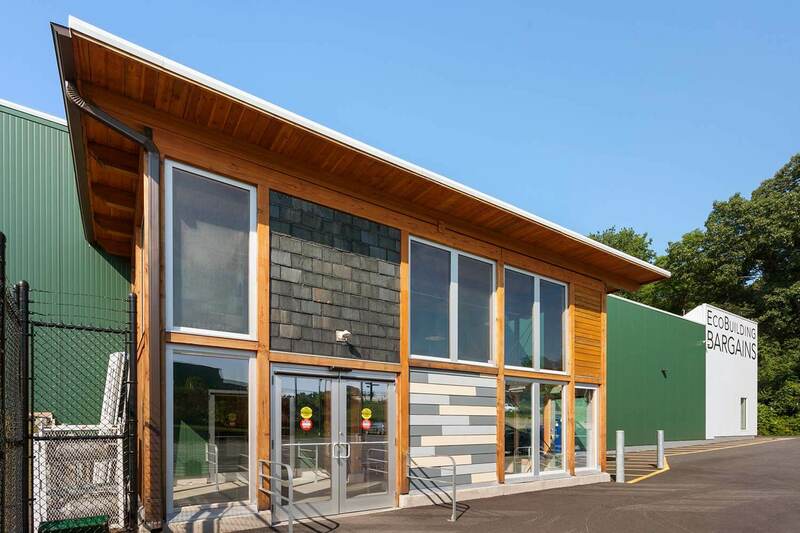 With these efforts, stewardship, education, and social equity come together in service of sustainable building practices.